Thanks for your support! 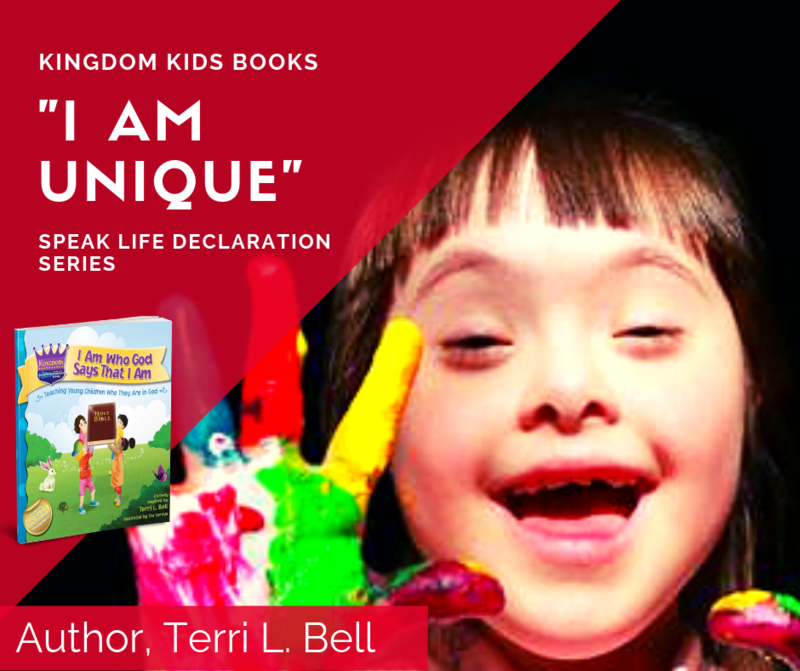 In celebration of God's vision for Kingdom Kids Books, here's Declaration #3 from my book, "I am who God says that I am"! Teaching Young Children Who They Are In God! 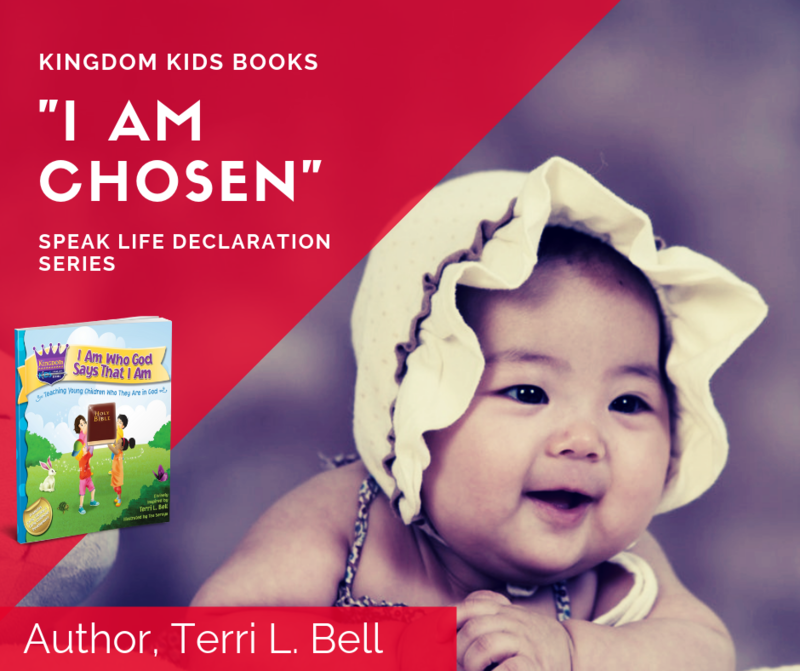 I Declare that our children are "CHOSEN" by God! This is God's truth about every child born in the earth. Whether you are carrying a little one inside of you now, or the child you bore was planned or unplanned...IT WAS ORDAINED BY GOD! This is the truth that needs to be communicated to our children. Our kids were handpicked by the Father and He has a plan for their lives to prosper them and bless them! They were created to do something special for God. How cool is that! 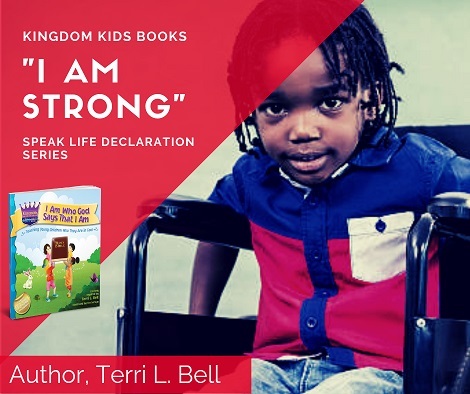 How can we SPEAK LIFE to Kingdom Kids? How can we give them this truth so they will know that they have purpose and worth? 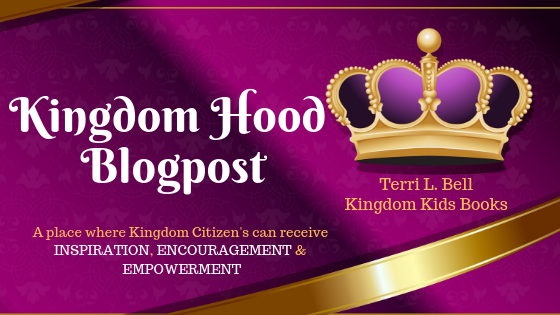 Our children are not bastards but Kingdom Kids; a royal priesthood, set aside to perform great exploits for God’s kingdom! Do you believe? No matter what situation you are in; parent, grandparent, Godparent, adoptive, foster, educator or other...begin to share this truth with your child(ren). I challenge you today to tell a child that God loves them, and they are chosen by Him to be GREAT! If the child is too young to understand right now, declare Jeremiah 1:5 over their lives because they don't have to understand for God to fulfill His promise to them. Remember, God's promises are YES and AMEN! Let the Word do the work! If you need an aid to help you introduce this concept to young children, purchase a book from this site. It's a great gift to the body of Christ and kids everywhere! 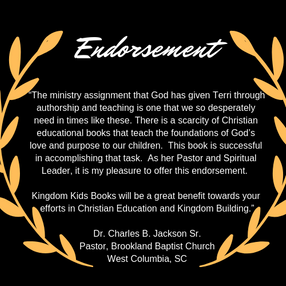 It really is ALL about the Kingdom and teaching children everywhere, who they are in God! Children are waiting...Let's go get em'.